PROJECT: Creation and initial launch of website for North American audiences. The focus of the site experience is to facilitate the users' need to see schedules for their region and to introduce a North American audience to BBC programs and entertainment through in-depth profiles of individual shows, video clips, and social media. 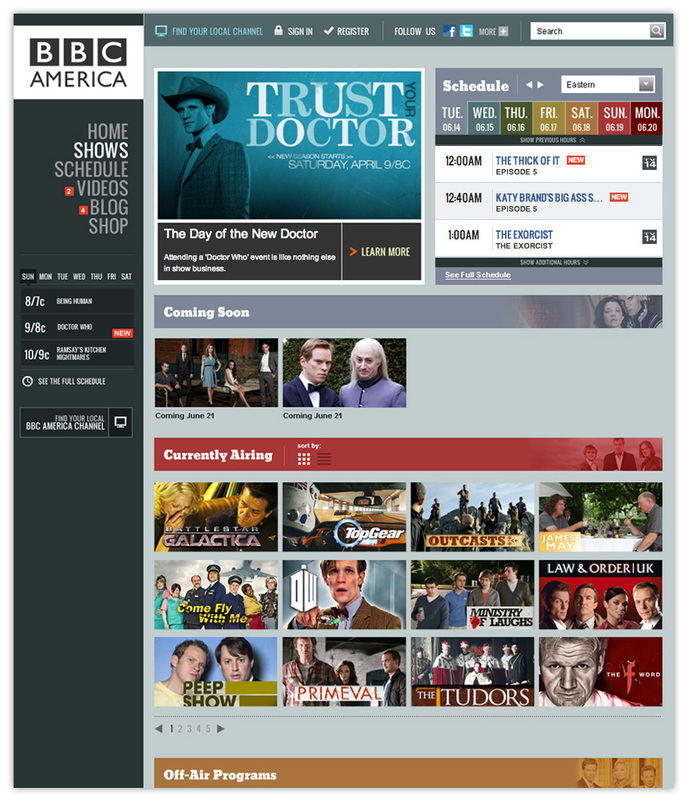 Home Page: The interface of the landing page keeps the most used information and tools at the top: the latest schedule and finding your local channel. Features are presented in an eye-catching rotating marquee. 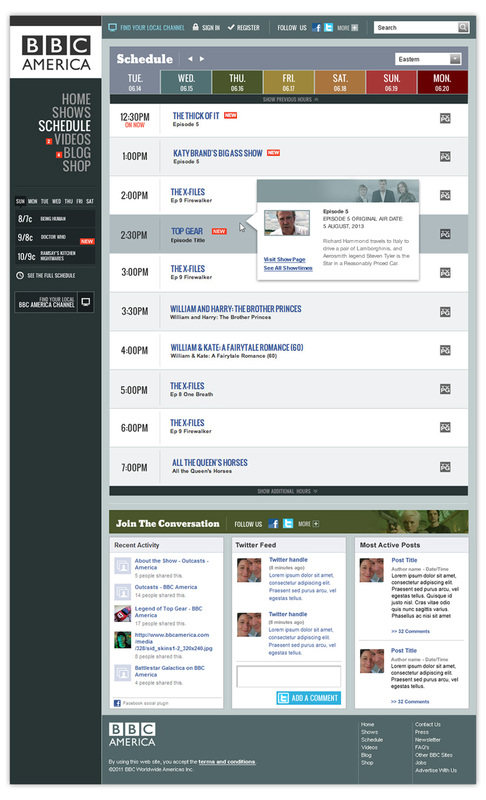 Shows Landing Page: The user can explore the current and upcoming programs through thumbnails images or the schedule module. 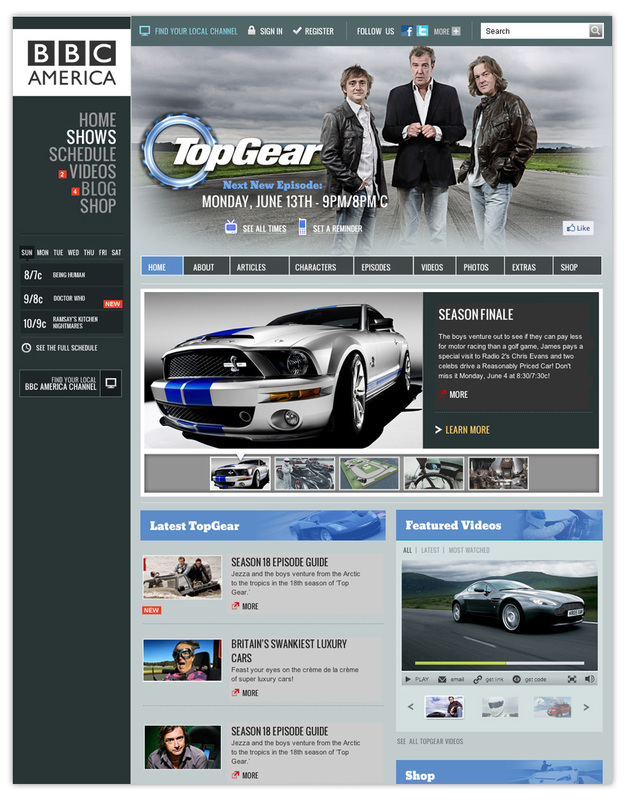 Featured Shows Pages: Top tier shows have their own landing page and in depth features such as articles and videos. Program Schedule Page: Detailed schedule and program information. Videos Landing Page: The collection of online shows and video clips.